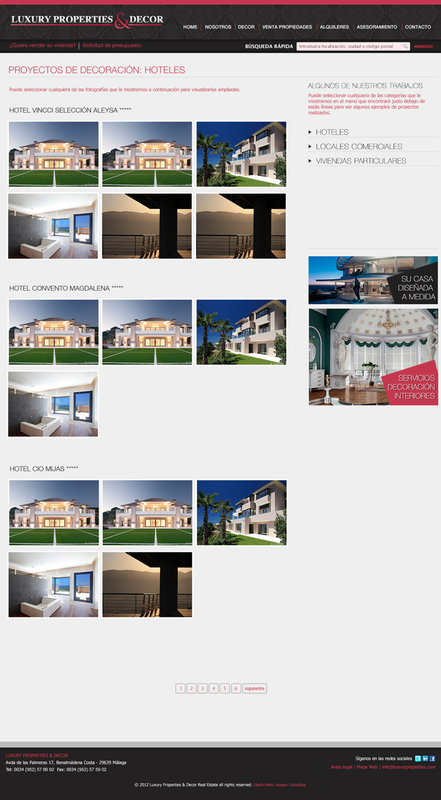 We designed and made the layout and programming the on-line platform for the Real Estate Luxury Properties & Decor, as a sales tool and in turn as a corporate website. 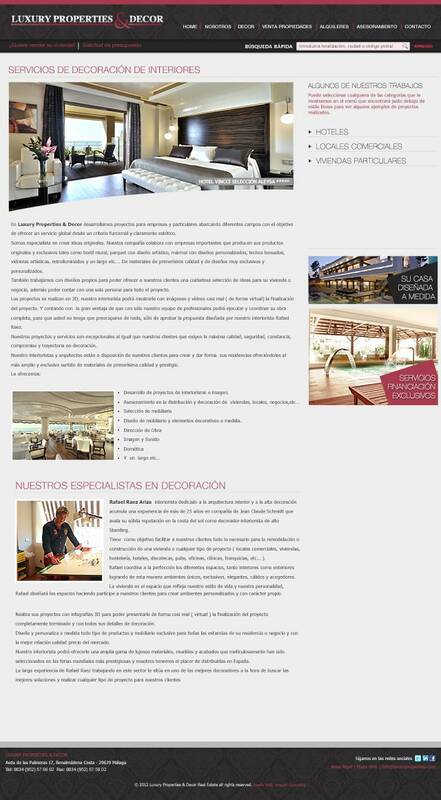 The whole design is based on their corporate identity and always conveying a sense of luxury, all accompanied by a great usability. 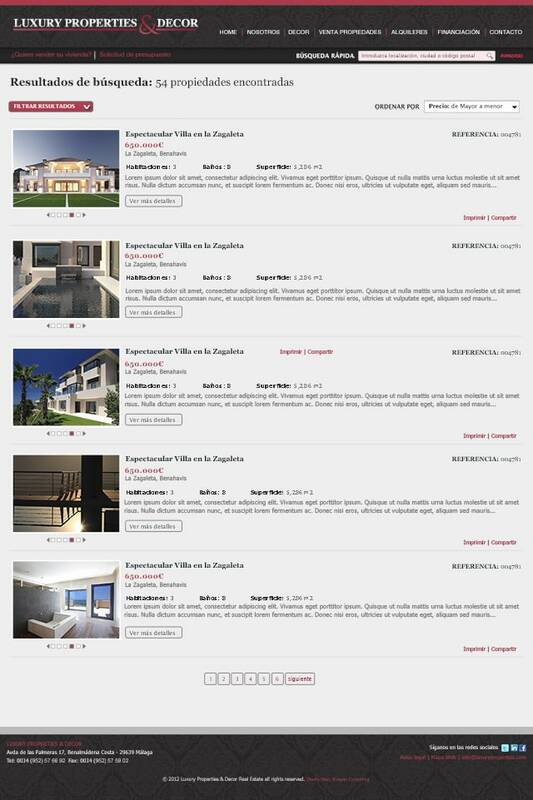 The website has custom CMS that allow clients or sales agents managing the properties in the portfolio.